Sithandwa sentliziyo ingaba ulahleke phi na? Kudala ndicinga ndikhangelana nawe dali wam. Lihambile ixesha ndimana ndibhala ndilinde impendulo. Kuthe kwakufika ixesha ngqangqa wam. Ndizixelele uba andincami ungekabuyeli kum. Sithandwa sam uba bendazile, u’ba nje ubundihlebele. Kutheni lento ungakhange andilumkise nje? Ndixolele sithandwasam, xolisa intliziyo yam. Ndayeka abazali bakho bakwenze ibhola. This poem is about a broken promise, a story about misplaced love and miscommunication. 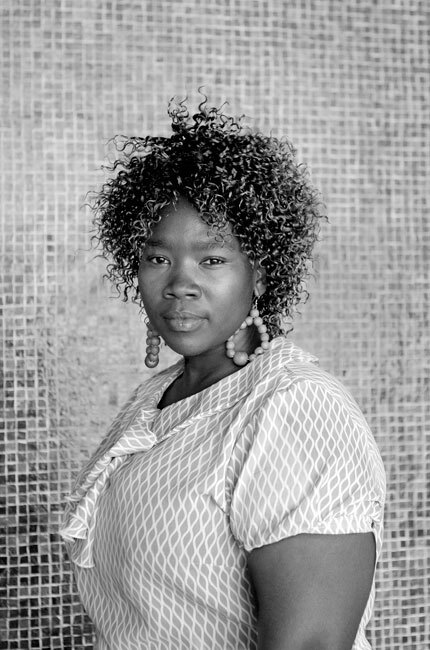 Siya Mcuta, Cape Town Station (2011). Siya is an activist, feminist, mother, sister, friend and a daughter to my father, aspiring writer and storyteller. She is an active member of Freegender. Her previous articles are featuring in Sparkling Woman, published by Cheryl Roberts. This entry was posted in Archived memories, Art Activism in South Africa, Black Lesbians, Documentation; Filming; Photography; Community, Relationships and tagged Art Activism; Activist; Poetry; Expression; Zulu; Love; Xhosa; Isithembiso (Promise); Sparkling Woman; Cheryl Roberts; Faces & Phases; Freegender; Feminism; Storyteller. Bookmark the permalink.